Whether the language you speak fundamentally shapes your thinking (sometimes referred to as “linguistic relativity”) is a question that usually comes up in Linguistics 101, along with a set of well known examples — Hopi time, Eskimo words for snow — that would seem, a priori, to indicate the answer is “yes”. Recent research, however, conducted by Lera Boroditsky and discussed in her contribution to “What’s Next? 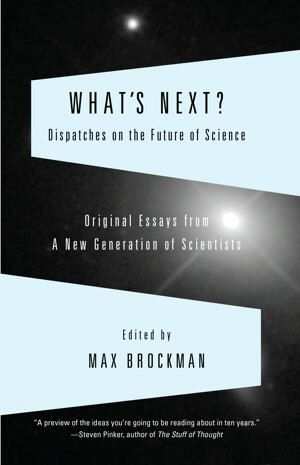 Dispatches on the Future of Science” go a long way towards actually proving this is the case. “We gave people sets of pictures that showed some kind of temporal progression (e.g., pictures of a man aging, or a crocodile growing, or a banana being eaten). Their job was to arrange the shuffled photos on the ground to show the correct temporal order. We tested each person in two separate sittings, each time facing in a different cardinal direction. If you ask English speakers to do this, they’ll arrange the cards so that time proceeds from left to right. Hebrew speakers will tend to lay out the cards from right to left, showing that writing direction in a language plays a role. So what about folks like the Kuuk Thaayorre, who don’t use words like “left” and “right”? What will they do?